On 1 March 2016 VCPD FA CTU starts work on a five-year project supported under the National and Cultural Identity (NAKI II) research and development programme of the Ministry of Culture of the Czech Republic (DG16P02H001). 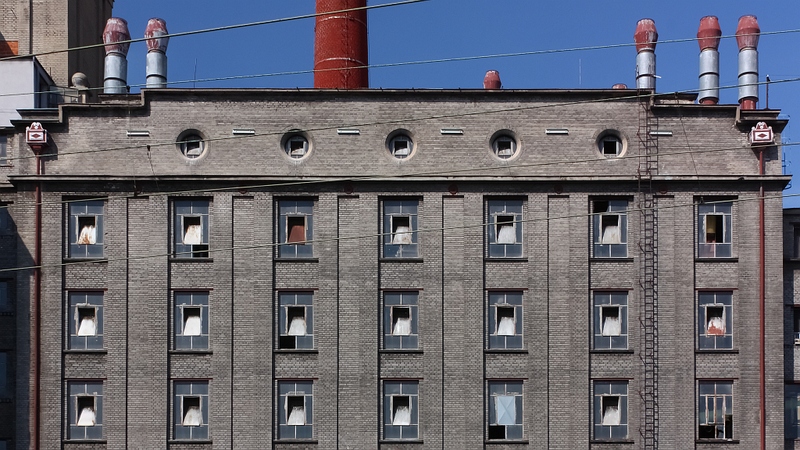 The project directly ties in with the previous NAKI project An Industrial Topography (2011–2014), and makes use and expands on this database in a synthesising and evaluative study that provides a structured selection of exemplary monuments of industrial heritage and their characteristic situations—doing so in the form of a specialised map, exhibitions and published monographs. The research is founded on understanding industrial buildings and complexes and on identifying the general cultural values of such heritage. The main approach is to survey the general principles behind the emergence of this heritage, which are at the same time the basic principles of industrial civilisation—the rationalisation, specialisation, standardisation, and the global transfer of experiences. The research grasps industrial structures as complex, individual works and studies their origin and authorship. The research will therefore focus on the work of specialised European design offices that are determing the direction development will take in the Czech Republic and on how their methods are being applied by other such offices in the country. It will examine the design work of construction companies that, particularly in the field of reinforced concrete construction, have reached a cutting-edge level in the country. It will highlight scientific methods applied in the design and architectural work of cooperative and state organisations for the construction of technical and transport infrastructure in the country and in the post-war period for building the foundations of industry. The findings will be presented and contrasted with other work at an international conference that will be held in 2018 and then summarised in a publication. The most important structures and sites in the CR will be captured in a specialised map reflecting all the perspectives outlined above and in 2020 an exhibition will be organised to conclude the project and a prestigious multi-lingual publication will be produced to accompany the event. A complementary direction of the research is to survey the unique structural history of industrial works and to examine them as part of heterogeneous complexes whose functions change at critical points in time and have been lost in the post-industrial era, and to define the potential they have for helping to preserve the identity of a particular place in an effort to make use of that potential in future local development. Therefore the research will also seek to capture and reflect on the historical position of such structures today and to select the most inspiring examples of the forms they have come to assume today. These examples will be presented at an exhibition and in a publication in the third year of the project. Both directions of research intersect in their basic understanding of the values that industrial heritage sites represent in modern-day circumstances, which is essential for identifying the most appropriate conservationist and creative urbanist and architectural approaches to apply to the adapted re-use of individual sites.